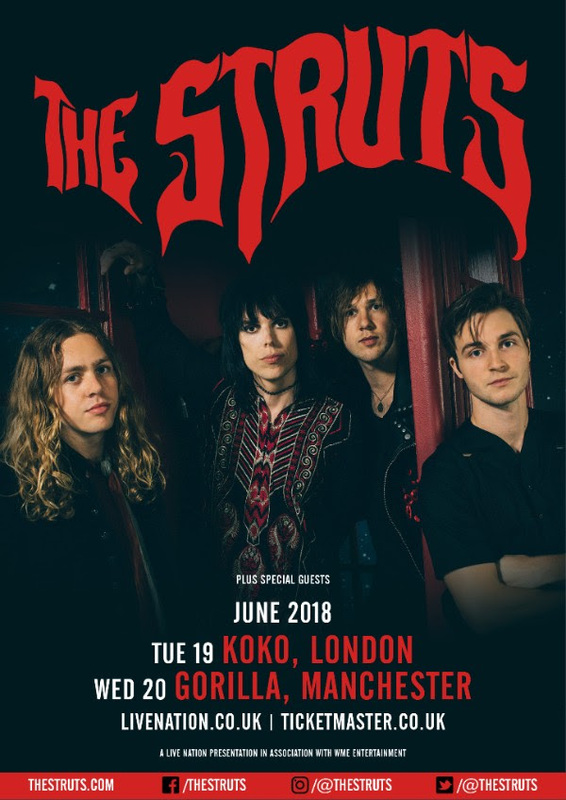 Having sold-out their forthcoming four-night residency at the legendary Sunset Strip venue The Roxy in L.A. at the end of May in just a matter of hours, British rockers The Struts have now announced two shows in London and Manchester this June, alongside their long-awaited return to Download Festival. And now – following their main stage slot at Download Festival on June 9th supporting Guns N’ Roses, who they have played many shows with around the world previously – they will play London’s KOKO on June 19th and Manchester’s Gorilla on June 20th. 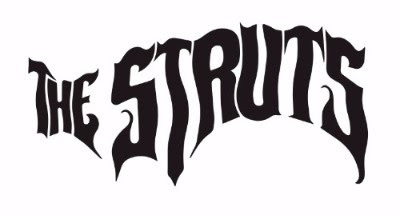 Tickets for the headline shows go on sale on Friday 20th April at 9am viahttps://www.livenation.co.uk/artist/the-struts-tickets with The O2 pre-sale starting on Weds 18th April and Live Nation pre-sale on Thurs 19th April via the usual channels. 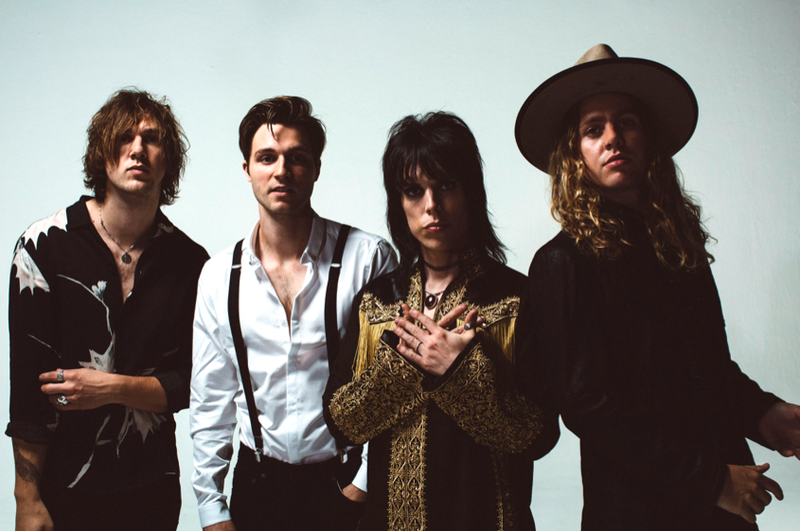 The Struts head off on their second run of dates with Foo Fighters in the US on the band’s Concrete And Gold tour this week and running throughout April, before they start their own headline tour of the US culminating in their four sold out shows at The Roxy in L.A. They then head to Europe for high-profile festival appearances in France, Norway, Belgium and Austria alongside their UK performances. The band’s highly anticipated second album will be announced soon.